There are 2 Basic Job Postings. One is for 15 days and the other for 30 days. 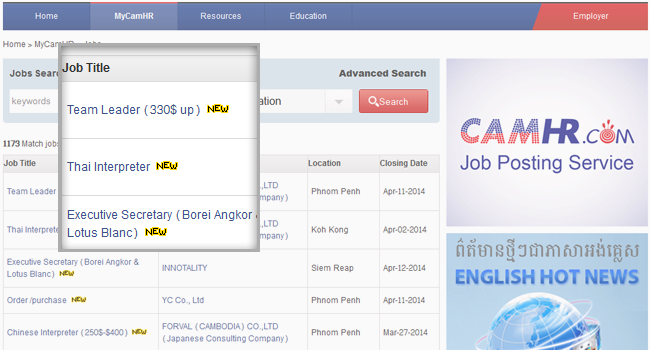 The Basic Job Posting can be found in all job pages and job list pages. It is below the urgent job posting. Employer can refresh their announcement to the front page.